Today we’d like to introduce you to Meg Minter. Meg, let’s start with your story. We’d love to hear how you got started and how the journey has been so far. I’ve been immersed in the dance industry in some capacity since the age of 2. I went from training to competing and on to earning a degree in dance with a teaching certification. I’ve come full circle-from dancing IN a creative movement class to teaching my own daughter how to point her toes and soar high. It’s pretty surreal. I taught children all through college- trained during the day, rehearsed on the weekends, and taught as many classes as I could fit into my already busy schedule. I traveled throughout Texas setting choreography for drill teams, dance companies, soloists and teams with 50+ dancers. Post graduation–I developed a reputation as a thriving dance mentor and choreographer both in the Dallas and Austin competitive markets– helping to grow two studios where I was (at different times) employed. I managed the offices, set new choreographic works on their companies, and taught classes for both the youth and fitness classes for adults. For 6 months, I was also a short-term substitute drill team director and dance instructor for a high school in Arlington. I married my middle school friend and college sweetheart somewhere in that timeline- and gave birth to Stella. 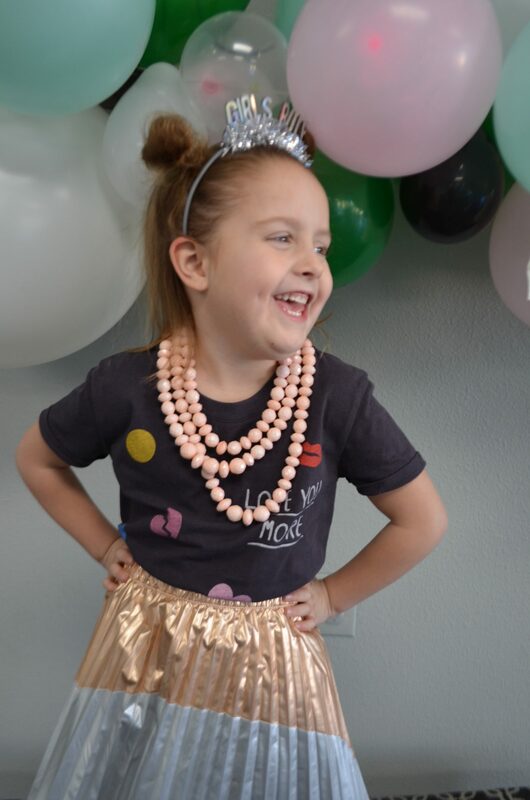 If you’ve seen the sassy 5-year old attached to my hip while visiting the studio, you know she’s mine. While living and teaching in Austin, my husband decided our family was ready for a change. He craved a higher level of education and wanted to pursue his masters. With a full-ride scholarship opportunity from TCU, we couldn’t refuse to uproot and relocating to Fort Worth. Without secured jobs and knowing a soul, Cowtown welcomed us with open arms in 2013. To help support our family, I immediately began working full time at an advertising agency where I met THE kindest people. I ran the front desk, managed onboarding new employees, processed payroll, and helped with production needs. My kiddo even starred in a Cook Children’s TV commercial while I was there- you’ve probably seen it! I loved my job there for 3 years, and I loved the people, but I needed more. I missed working with kids and most of all, creatively being challenged and stimulated by dance and all things movement. After having our second babe, Major, I decided to stay home with him for a year and re-evaluate my purpose. What was my next move going to be? Should I open a studio? Could we physically and financially do it? Would people come? Will people trust in me? I wasn’t plugged into the dance community in Fort Worth. It was a huge risk. I prayed. I prayed a lot- for signs, guts, answers, conviction, hustle, ideas, and above all- courage. I began to reflect on the significant and pivotal moments in my life- when I’ve figuratively stood on the edge of a diving board- did I jump or hesitate and take a step back? I’ve always been a jumper. I knew I would land on my feet- after all, dance taught me that. I consulted with my parents where I was reaffirmed that I COULD and SHOULD do it and people would show up for me- that I had the knowledge and education of dance, the administrative insight to run a studio, but above all, the passion for teaching children. From there we hustled. My husband was and still is the number cruncher (and my biggest supporter). Every branded item you see, my dad wholeheartedly designed. My in-laws financially invested in my dream. The website? I fumbled through and built myself. My brother generously managed and produced all of our print needs. My mother provided childcare for MY littles so that I could prepare and renovate a space to call a dance home for YOUR littles. We laid the floors. We painted walls. We installed the electrical. We built a front desk. The dream came together by the hands and hearts of the people closest to me. And there you have it. My dream quickly became a reality. We aspired to open our doors with 30 kids. We opened with exactly 50 and have more than 150 currently. The news is spreading and I have the community to thank for that. I’m here to teach your kiddos how to dance, yes. But dance goes much deeper than that- the pointed toes and height of a jeté. I believe MoveMINT is for everyone. MoveMINT has the power to heal and the power to inspire. Dance teaches passion, dedication, discipline, camaraderie, confidence, teamwork, balance, grace, and coordination and embraces individualism. It’s ageless and timeless. It communicates when words fail. I appreciate the dance community we are building at Studio of MoveMINT, more than you could ever know. It’s everything I dreamed it would be. There are many studios in Fort Worth, and I know people have a choice. 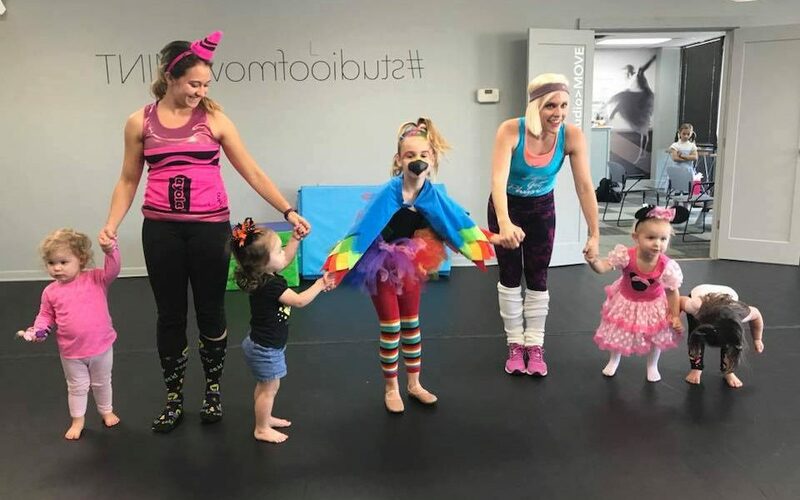 Thank you for choosing Studio of MoveMINT and sharing your babes with me! The biggest surprise is the pace in which we have grown. We have been opened less than 6 months and every day new registrations come through the door. You have to remember- I opened my doors without a reputation as a teacher in the Fort Worth dance community. No one knew I existed- I had taught elsewhere, but the biggest risk was getting the word out and praying kids would come. I remember in the beginning waiting by the computer for emails to come through of a new enrollment and it was a numbers game. With every chime of an email- I felt victory, success, humility, excitement. It was all happening- challenges have been making the parents comfortable in the lobby with seating. Some days it is standing room only, and we have already begun conversations about expansion- setting goals for the future. 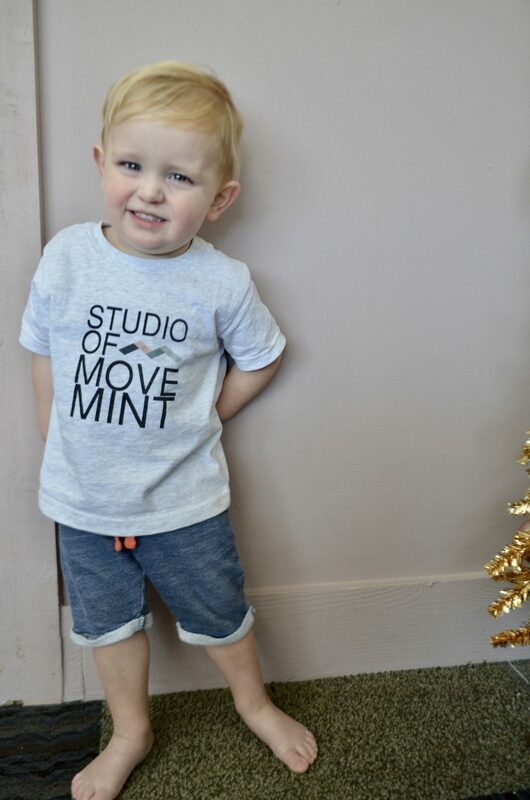 Please tell us about Studio of MoveMINT. 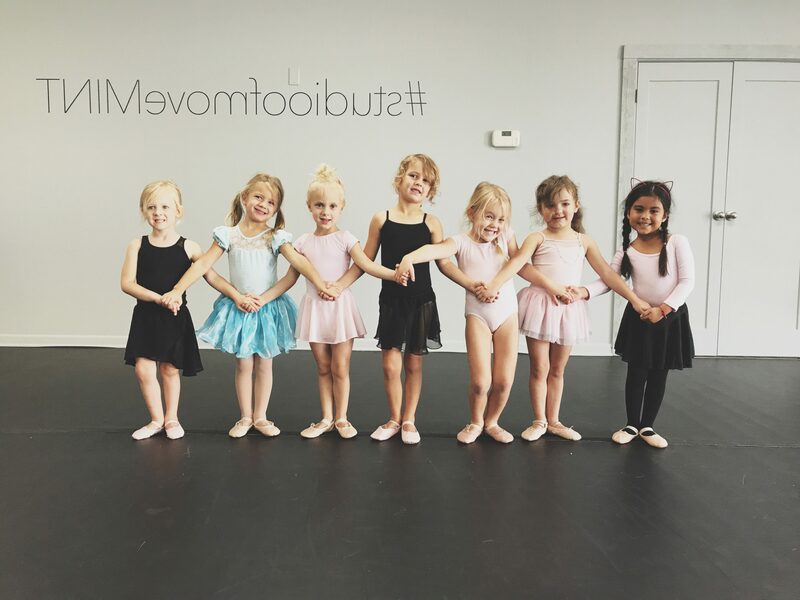 Who We Are- Studio of MoveMINT is a brand new dance studio serving the Fort Worth metroplex. 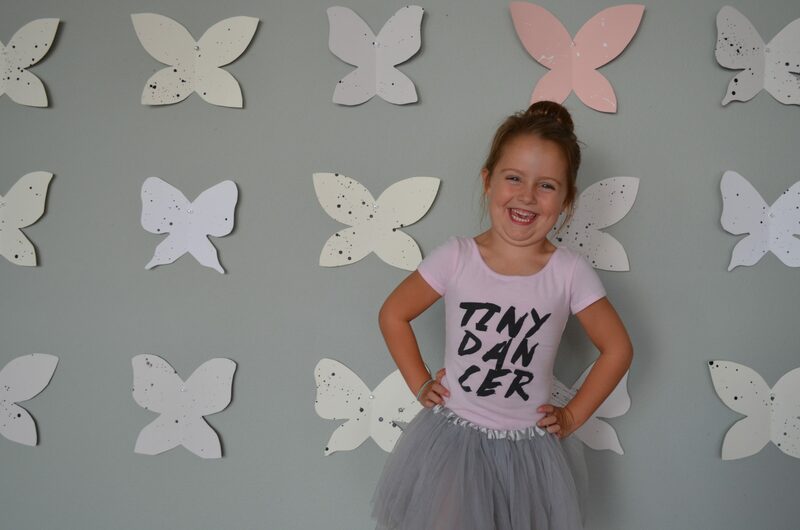 We offer a variety of dance classes for ages 18 months and up. 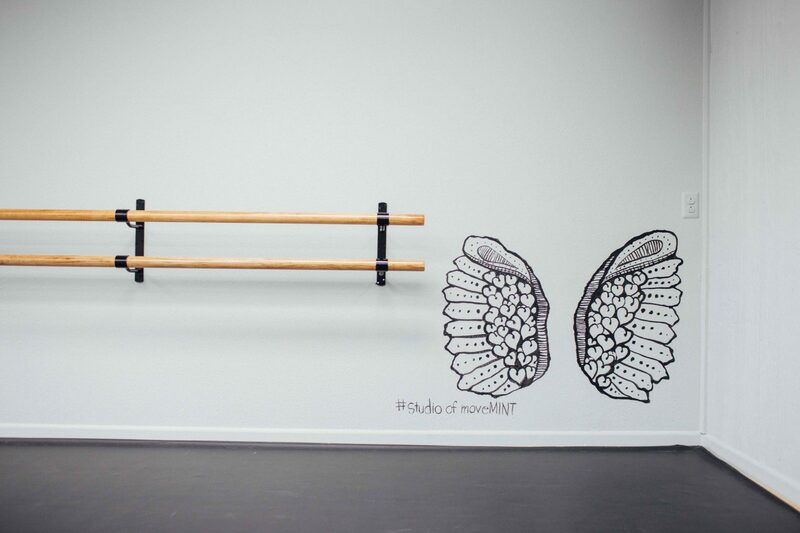 Studio of MoveMINT also houses an adult fitness program offering cardio, dance, and barre related fitness classes. Where We Are- Located in Country Day Plaza, we are across the street from Fort Worth Country Day and .5 miles from Waterside – deep in the heart of the city. 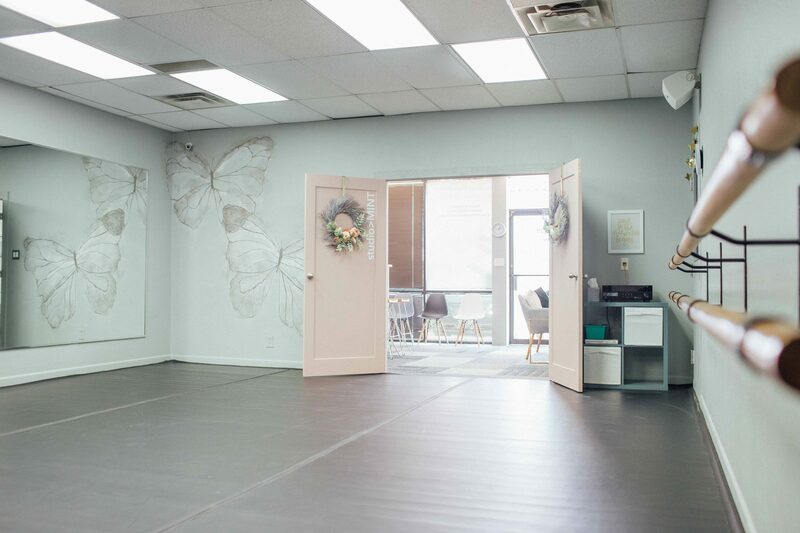 Studio of MoveMINT is 2,180 square feet and houses 2 dance spaces, has Harlequin Marley flooring, high-quality sound systems and is contemporary in design. 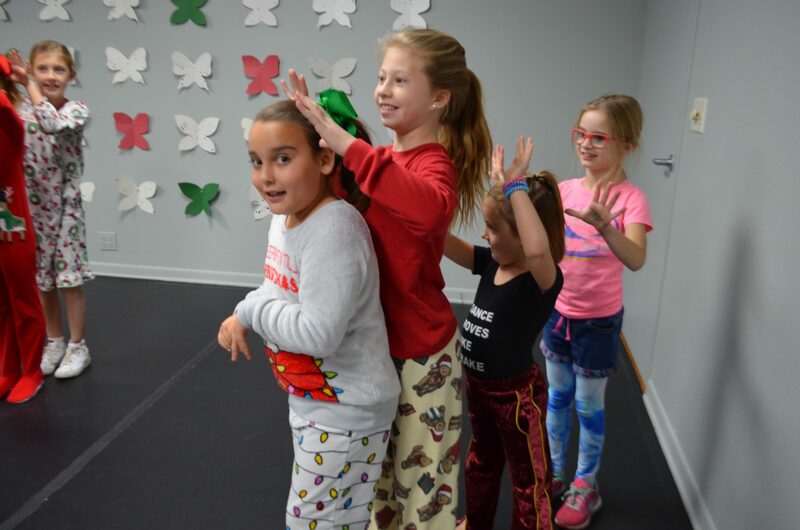 Our family-friendly lobby houses both entertainments for children as well as TV monitors with high definition playback so parents are able to view their dancer in class. What We Believe- We believe MoveMINT is a lifestyle and can be for everyone. We believe in community and sharing the joy of dance with others. We provide quality teaching and training in a safe, friendly, and creative environment. We also believe in the notion of giving back. Studio of MoveMINT participates in initiatives that give back to communities both locally and nationwide. Such initiatives include fundraising for immediate hurricane relief post-Hurricane Harvey, preparing donation items for a school that was devastated by a fire, and fundraising benefiting The Women’s Center of Tarrant County. We are not your average dance studio and take tremendous pride in that. Oddly enough- my birthday in February is always during dance competition season. As a young competitor, I basically spent every year on or around my big day dancing on a stage. My 5th birthday fell on competition day and I won first place. 1,000 people or so watched as I accepted my award and sang ” Happy Birthday” to me. My dad videoed it and cried like a baby. My birthday obviously hasn’t changed nor has peak dance season. I still spend my day with my students at the competition. Fast forward to my 30th birthday last year. It also fell on a competition day and I had the joy of watching MY 5-year-old daughter take the stage and win an award. I cried like a baby that day.